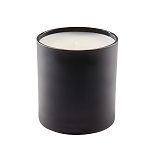 Scented Soy Candles are a great mini investment for relaxing and setting moods. A quality candle should be fragrant for it's entire burn time. Your candle should not smoke nor should the wax tunnel. That is just unused fragrance and wax that is being wasted, besides being very unattractive. The following tips are to help you avoid those common problems and get the best results from your jar and tumbler candles.